Inspired by his nightly quizzing ritual, I decided to go away and do some research into the best sources of plant-based protein. And here are my results: a list of the top 20 sources of plant-based protein. 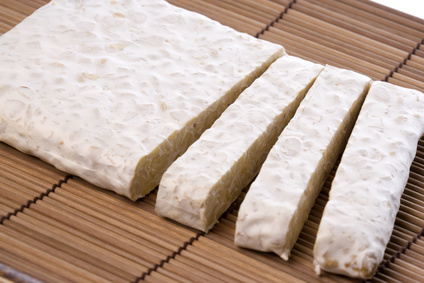 Tempeh is like a firm cake made from gently fermented soybeans. It has a firmer and chewier texture than tofu. It is becoming increasingly available in the United States, and is an excellent source of plant-based protein. Recipe Idea: This amazing tempeh curry recipe from Heidi Swanson over at 101 Cookbooks is an excellent way to try it out. 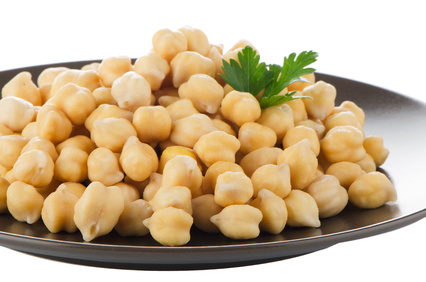 Garbanzo beans are legumes that have long been revered for their fiber content. But they are also winners in the protein department as well. Recipe Idea: Try out this delicious and healthy quick vegan chana masala from Cookie + Kate. It makes a regular appearance at our family dinner table because it is extremely easy to make, wonderfully nutritious, and provides lots of great leftovers. Lentils are a winner in so many departments. 1. They are chock-full of fiber. 2. They are a good source or iron and a very good source of folate. 3. They are very low fat. 4. They contain loads of protein. 5. They don’t need to be soaked before cooking. Recipe Idea: I often make coconut curry lentil soup in the winter when we need a hearty, protein-packed dish to keep us warm on those cold (?) Los Angeles nights. 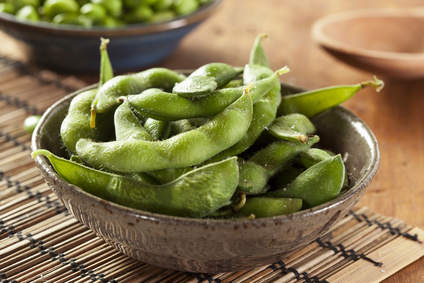 Edamame beans are immature soy beans. 1 cup contains almost 1/3 or your daily fiber needs if you are a woman, or 1/4 if you are a man, as well as a good hit of protein, iron, calcium, and vitamin C.
Recipe Idea: I like to eat them with a sprinkle of salt as a side dish, but if you want to get a bit more fancy, you can try out this amazing chopped Thai salad with sesame garlic dressing from Pinch of Yum. I have. It’s a winner. 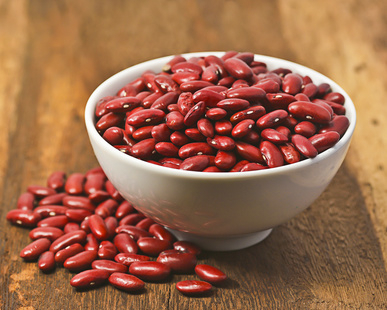 Kidney beans are high in protein, carbohydrates (including fiber), as well as many vitamins and minerals. Recipe Idea: They make an excellent salad when mixed with canned corn, roasted asparagus, and a little balsamic vinaigrette. 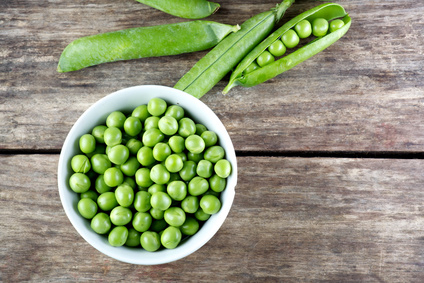 Whether picked fresh from your garden, or plucked straight from your freezer, peas are an excellent way to add protein to your diet. They are also a very good source of fiber, Vitamin A, Vitamin C, Vitamin K, and Vitamin B1. Recipe Idea: This flavorful green pea soup from 101 Cookbooks is a wonderful way to add these protein-filled beauties to your diet. 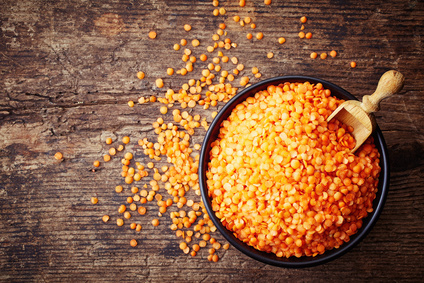 Most plant-based sources of protein lack some of the amino acids that are essential to humans. 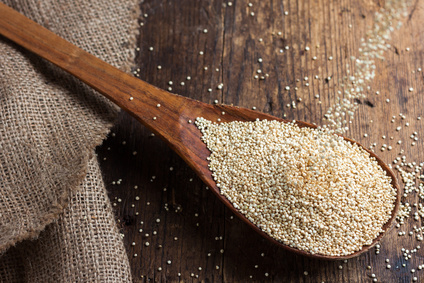 However, quinoa is one of the only plant-based complete protein sources. That means that you get all 9 essential amino acids from quinoa. Recipe Idea: These quinoa, black bean and corn tacos are a wonderful, healthy, and tasty way to add quinoa to your diet. They are also my five year old daughter’s favorite meal. 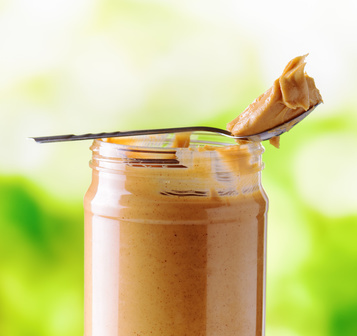 What more can be said about peanut butter? It’s a delicious, quick, comfort food that provides a healthy does of protein. Recipe Idea: Spread some on a whole wheat tortilla with sliced banana, roll it up, and enjoy. 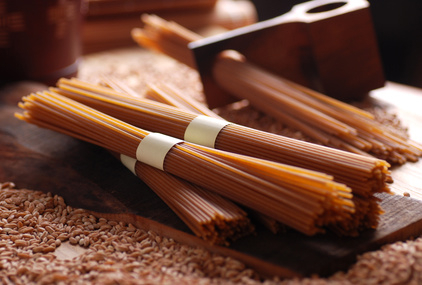 Whole wheat spaghetti is a great source of fiber as well as protein. Recipe Idea: It has a mildly nutty flavor that works wonderfully with this creamy, hearty cauliflower cheese dish from Smitten Kitchen. 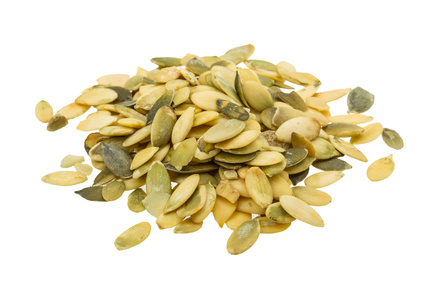 Pumpkin seeds, or pepitas, are a good source of iron as well as protein. Recipe Idea: They add some great crunch to any salad, and can be included in most granola recipes to add some nutritional value. Potatoes get a bad rap these days. Many people consider them to be one of the least nutritious vegetable options. 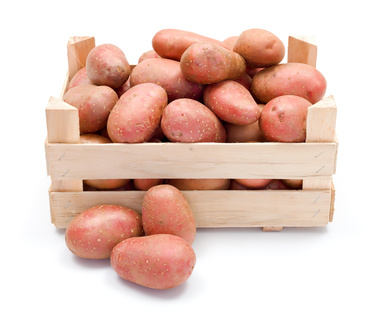 However, they are a very good source of Vitamin C, a good source of fiber and potassium, they are very low in fat, and one large potato contains 7 grams of protein. Recipe Idea: This warm potato salad made with dijon mustard instead of mayonnaise is a great way to add red potatoes to your diet. 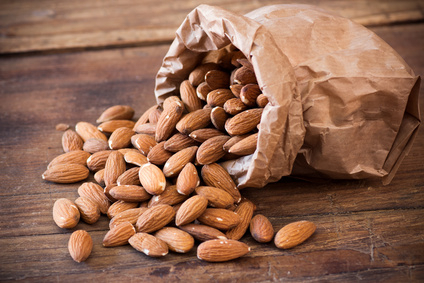 Almonds are a good source of protein, calcium, and iron, and a very good source of Vitamin E. However, due to their high fat content, they should be eaten in moderation, even though they are ‘healthy’ fats. Recipe Idea: This cranberry almond granola topped with Greek yogurt is a great way to make sure your breakfast has plenty of healthy protein. 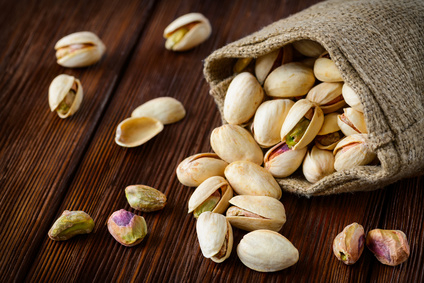 Pistachios make such a great, nutritious snack. They contain plenty of iron, fiber and protein, and having to remove the shells as you go gives you time to register when you are full. Recipe Idea: This 5-minute magic green sauce from Pinch of Yum is another great way to include pistachios in your diet. Even though I think of rice as primarily a carbohydrate food, a cup of cooked brown rice is also a good plant-based source of protein as well. Recipe idea: This Thai pineapple fried rice from Cookie + Kate is a tasty way to include brown rice in your cooking repertoire. 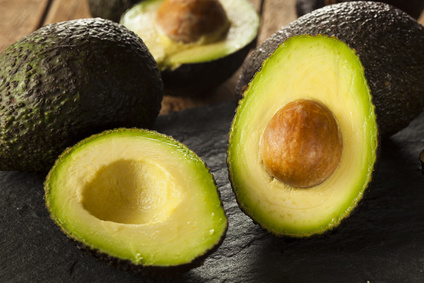 While known primarily for their healthful monounsaturated fatty acids, avocados also contain lots of fiber as well as a healthy dose of protein. Recipe idea: This creamy avocado kale salad is incredibly easy to make and has just 4 ingredients. 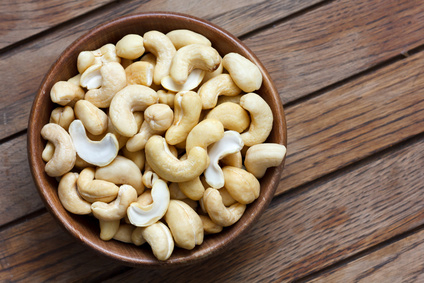 Poor old cashew nuts have to live in the shadow of their nutritionally superior fellows, the almonds and brazil nuts. But they should not be forgotten. Despite not quite living up to some of the other nuts out there, they do still contain a decent amount of protein. Recipe idea: This recipe for quinoa spring rolls with a cashew dipping sauce from Minimalist Baker is divine. Popeye was onto something with his cans of spinach. But it isn’t just iron that was making him strong. 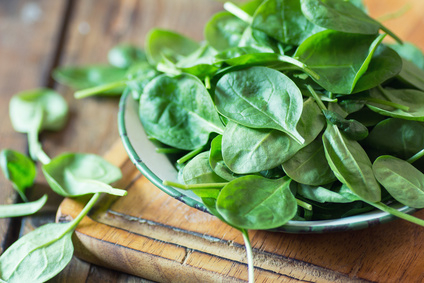 Spinach is a very good source of fiber, protein, vitamin A, vitamin C, vitamin E , Vitamin K, Calcium, and many other vitamins and minerals. It really is a nutritional powerhouse. Recipe idea: Gimme Some Oven has this wonderful recipe for Italian orzo spinach soup, made with whole wheat orzo pasta. 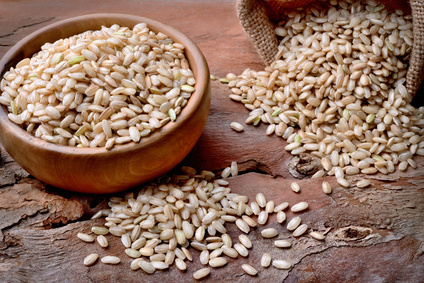 (Did you know you can buy whole wheat orzo? Me neither until I found this recipe). 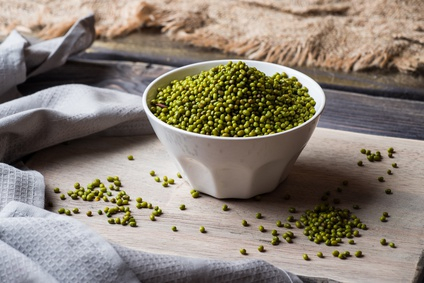 Not many people know about, or cook with, mung beans, and it is a real shame. They are very easy to use (no need to soak), extremely nutritious, and they have a very mild taste and great texture. Recipe idea: This mung bean stew on a budget from David, Luise, and Elsa over at Green Kitchen Stories is a delicious way to include mung beans in your diet. Oh sweet potatoes, how I do love thee. Just 1 cup has 1/4 of your daily fiber needs, almost 2/3 of your daily vitamin C needs, and nearly 800% (yes you read that right) of your daily Vitamin A needs. 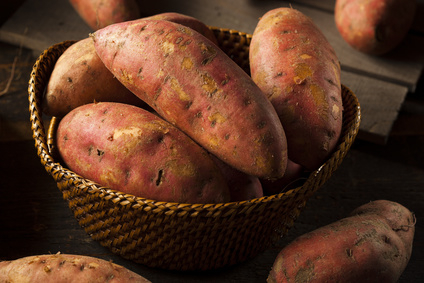 Recipe idea: Before you Americans think about doing anything crazy like covering these bad boys in sugar, try this recipe for sweet potato and cauliflower mash. 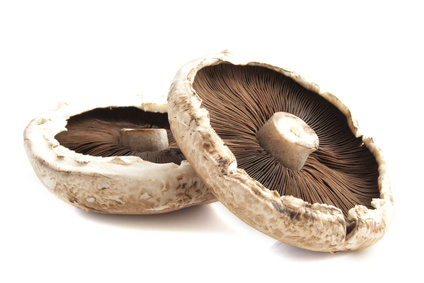 The humble portobello mushroom is a really substantial vegetable that makes a great substitute for meat. It is a good source of protein, and a very good source of fiber, as well as many vitamins and minerals. Recipe idea: The portobello mushrooms add some great texture to these grilled vegetable goats cheese pesto quesadillas. I’m glad you liked it Deniza. Eating more plant based foods can help with a lot of issues. Are garbanzo also called chick peas here? Thank you! Yes garbanzo beans are chickpeas in the UK. Great post! Now I have a list of things when I get asked “Don’t you need protein though?” when I tell people I’m a vegetarian. It’s funny how people so often associate protein only with animal products. I too was surprised by the protein content of peas. Who would have thought it? Thank you for this post! I am a vegetarian and am not always great about making sure we get enough protein. Bookmarking this for sure. I’m glad it was useful for you Brigitte. thanks for this helpful list! I’m always trying to incorporate more nutrient-dense veggies into my diet! Thanks for your comment Tianna. That’s always my goal too. Thanks for making this list and sharing- as a vegan, it is one of the top questions I get lol. Just shows that there really are a variety of options! You are the third person to make that comment. People really do equate protein with animal products, don’t they! Great post….and all those are yummy…and some combined together ever better…..